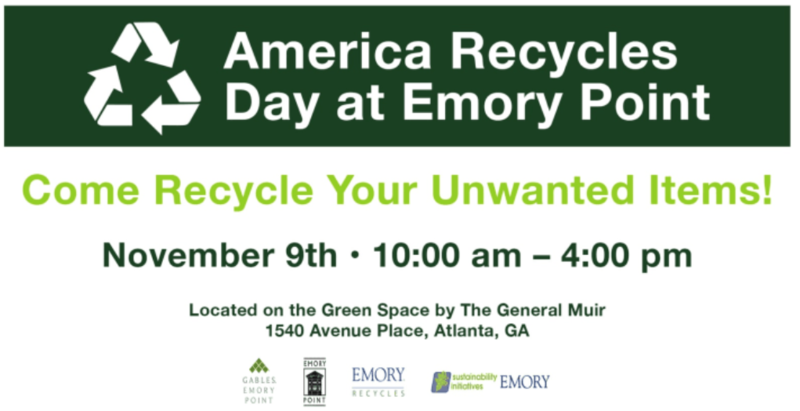 Emory Point is holding an unwanted item recycling event on Friday, November 9, from 10 am to 4 pm at the Green Space by The General Muir. Mark your calendars and get ready to recycle. Household: Furniture, dressers, tables, bed frames, sofas, etc. No bed foam. Textiles and linens, games, toys, sporting equipment, yoga mats, bikes, dishes, glassware, kitchen utensils, etc. 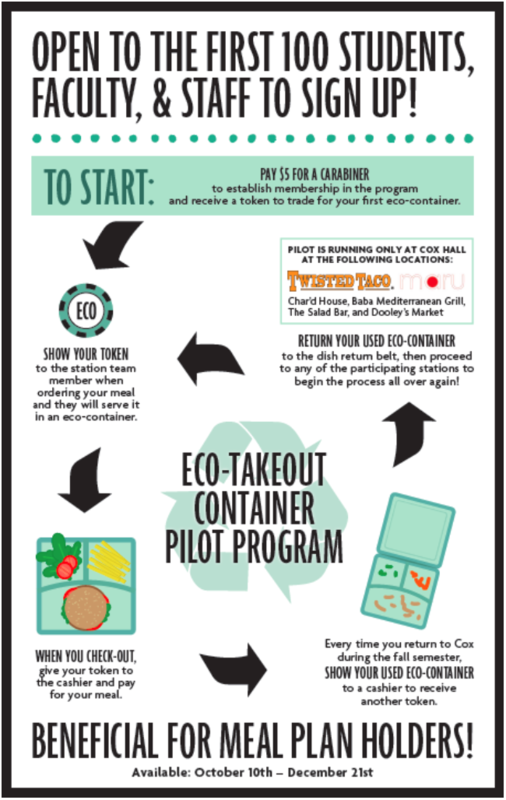 Also, if you enjoy participating in pilot programs, check out the Eco Takeout Container program. This pilot is available between October 10 and December 21 and is open to the first 100 students, faculty and staff, so sign up now! This entry was posted in News and Events and tagged sustainability. Bookmark the permalink. Post a comment or leave a trackback: Trackback URL.